Seattle, Washington, is known for its lush evergreen forests, beautiful views of the Pacific Ocean, year-round outdoor recreation, coffee, and music. A gateway to Canada and Alaska, Seattle’s seaport gives way to exciting city life. Take in the Space Needle and surrounding Seattle Center and monorail. Explore headquarters of some of the top coffee chains in the country, as well as many independent coffee houses. And experience where jazz meets grunge in Seattle’s celebrated music scene, accented by the Experience Music Project Museum. Seattle’s National Poetry Slam is just one of its unique artistic contributions. 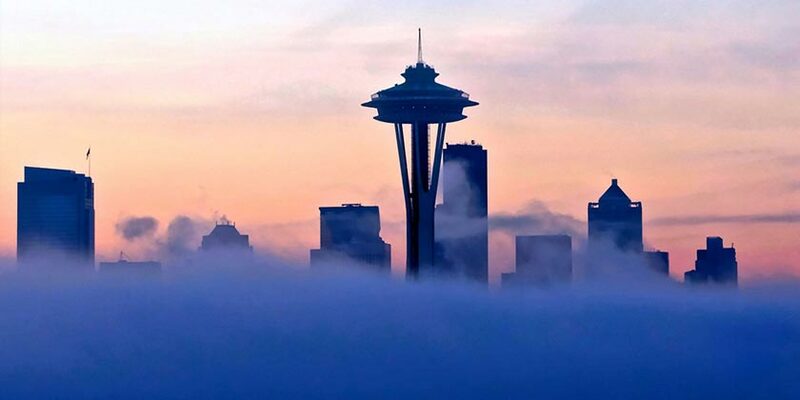 Take a Seattle vacation to discover so much more. Your Seattle CityPASS gives you tickets to Seattle's premier attractions including the Space Needle, saving you time and money. Enjoy a delicious dinner and a unique experience on Elliott Bay. If you're amazed by flying and airplanes, this is an essential experience! Tour the factory where they build and test the famous Boeing aircraft. Take an all-day trip from Seattle to San Juan Island's Friday Harbor on a catamaran. Enjoy a 2.5 hour guided Whale and Sea Life Search cruise. Escape the hustle and bustle of Seattle and enjoy a day of breathtaking scenery at Mt Rainier National Park. This sightseeing tour is perfect for those wanting to experience Seattle, but just need a helping hand to find some out of the way places. Resort info: An ideal urban retreat with views of Puget Sound, Lake Union, and the Seattle skyline, plus just steps away from the Pike Place Market and shopping. Resort info: This beautiful hotel adorned with Asian art is located in the heart of downtown Bellevue, walking distance to fine dining, shopping and entertainment. Resort info: Located in the city's vibrant core, this AAA Four Diamond award-winning hotel is a gateway to the experiences of the fabulous Pacific Northwest. Resort info: The Holiday Inn® Seattle offers the most convenient location in the city, a short distance to the Space Needle, Pike Place Market and Pioneer Square.